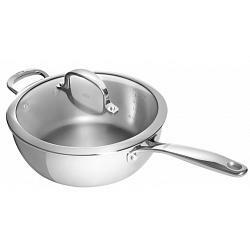 This saucepan from Oxo has capacity of 3.4L / 3.5qt and a diameter of 9.5 inches / 24cm and is an essential for simmering foods, cooking sauces, or braising. The saucepan features a 3-ply construction, combining the elegance and durability of stainless steel with the superior heat conductivity of aluminum. This ensures perfectly even heat distribution, from all sides of the pan. The sauce pan features measurement markings inside and has a comfortable handle that stays cool, even when the pan is sizzling hot. 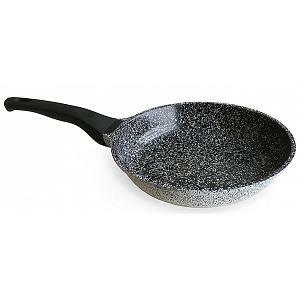 The frying pan has a easy-pour edges, allowing for mess-free and drip-free pouring of liquids. This high quality saucepan is dishwasher safe, oven safe, has a lifetime warranty, and can be used on all cooking surfaces, including induction.